Research demonstrates that a conservative differs from a normal human being in a number of ways. Note: ‘Normal human being’ means someone with a soul and an I.Q. above 70. A conservative is a strange creature. As you can see by their actions in Congress and in state houses across the country, conservatives do not care for pesky little things like equality, fairness, justice, truth, veracity, or democracy. It was only recently that my fabricated think tank, The Heretic Foundation, discovered the reason for this: Conservatives do not recognize objective reality. 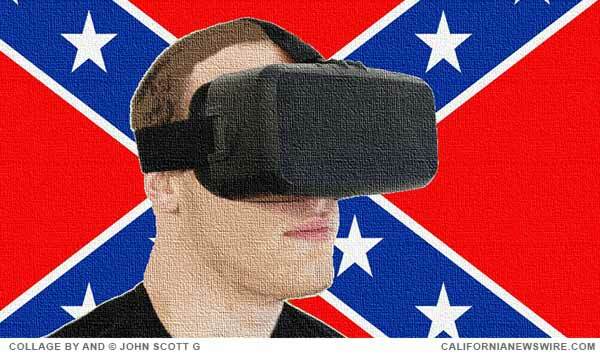 According to a fully spellchecked Position Paper issued by the aforementioned highly-regarded and very prestigious organization, rightwing nutjobs view the world through something called Conservative Virtual Reality Lenses, or ConVirtReaL. As my completely scientific research proves, conservatives submit their children to ConVirtReaL implant surgery within the first 12 months of life (often instead of receiving vaccinations for hepatitis, measles, mumps, and rubella). A good person looks at Trump and sees an ugly bloated mass of bile, but a conservative sees an ugly bloated mass of bile that makes them feel better about their own stupidity. TRUMP WASTES TAXPAYER MONEY AT HIS GOLF RESORTS. A normal person suggests that Trump should practice his putts on the White House lawn but a conservative says that a president needs down time from the intense pressure of working for the betterment of dictators and rightwing thugs around the world. EPA DIRECTOR SCOTT PRUITT DOESN’T CARE IF THE FOSSIL FUEL INDUSTRY HARMS THE EARTH’S ATMOSPHERE. A normal person sees this as counter-productive for humanity but a conservative sees this as increasing opportunities for a great many industries, presumably including hospitals, funeral parlors, gravediggers, etc.